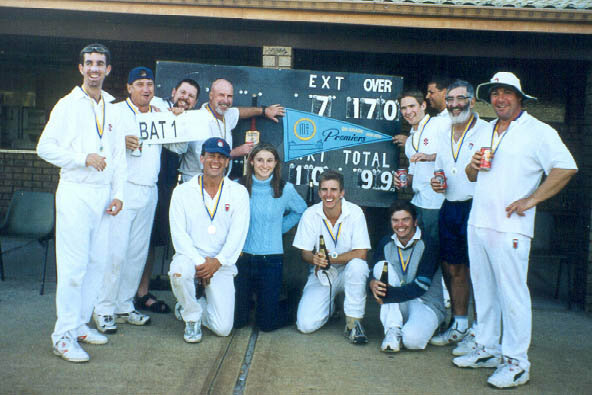 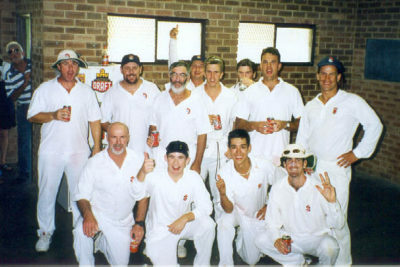 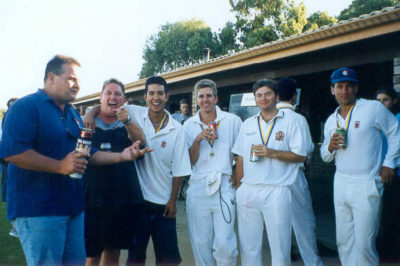 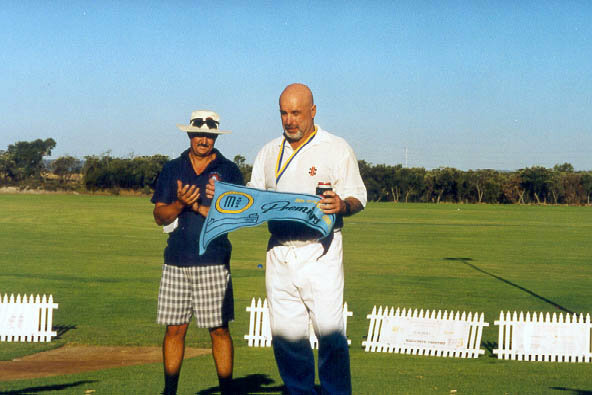 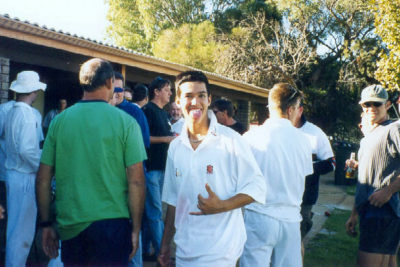 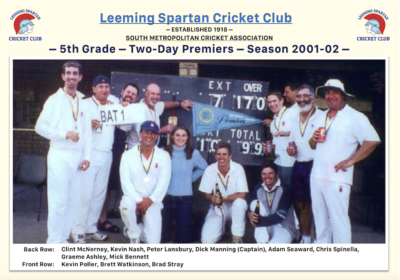 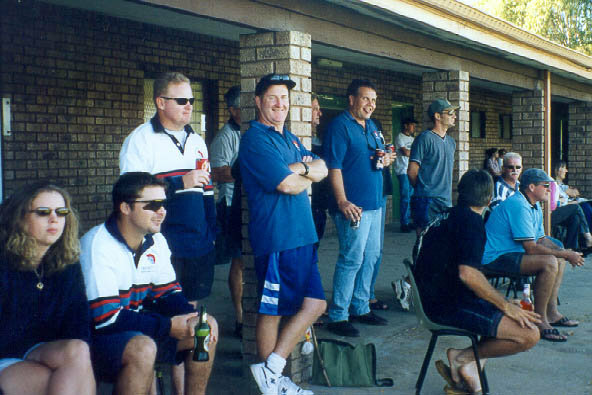 See below for some invaluable photos from the Leeming Spartan Cricket Club’s 2001/02 season, which was highlighted by a two-day Premiership in the 5th Grade. 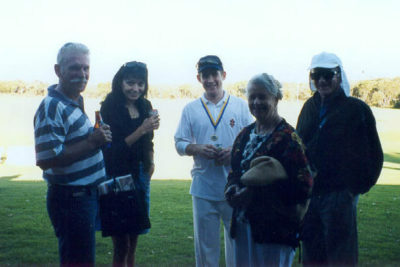 Peter Read was now into his second season as President, and was met with a change in First Grade Captain, as Wayne Fontana was recruited from Ballajura Cricket Club to take over from Greg Dudley, who had been in the position for a number of years but was forced to step down due to work commitments. 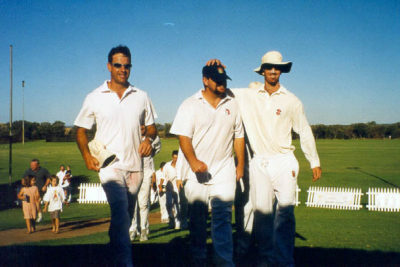 On the field, we had a rare unsuccessful summer, going by our performances in recent seasons. 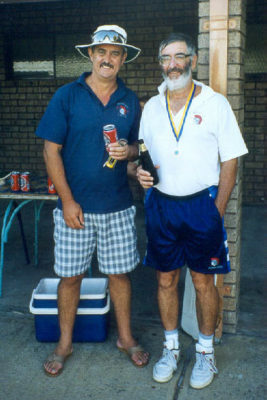 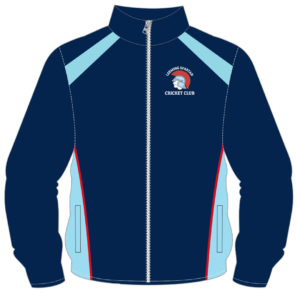 In terms of the Association, ours was still a record to be envied by most other Clubs. 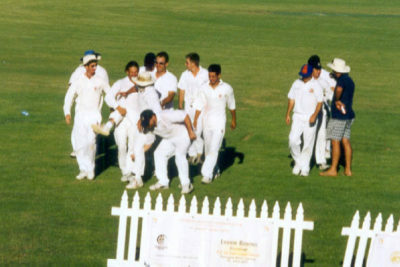 We continued to field six competitive sides and had two teams in the finals, with the First Grade finishing Minor Premiers and the Fifth Grade becoming both Minor Premiers and Premiers, to become the standout side for the Club this season. See photos from this season and the Fifth Grade triumph below!